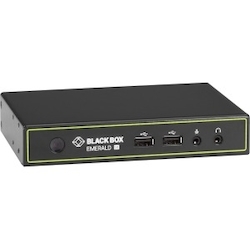 Emerald SE provides users with a seamless desktop experience anywhere on a TCP/IP network, while allowing the actual hardware to be housed in a corporate data center or in the cloud. The performance of Emerald SE allows an easy deployment on standard corporate networks and even across WANs. The solution enables the same experience of a desktop PC even for media-rich applications, like video and photo editing.